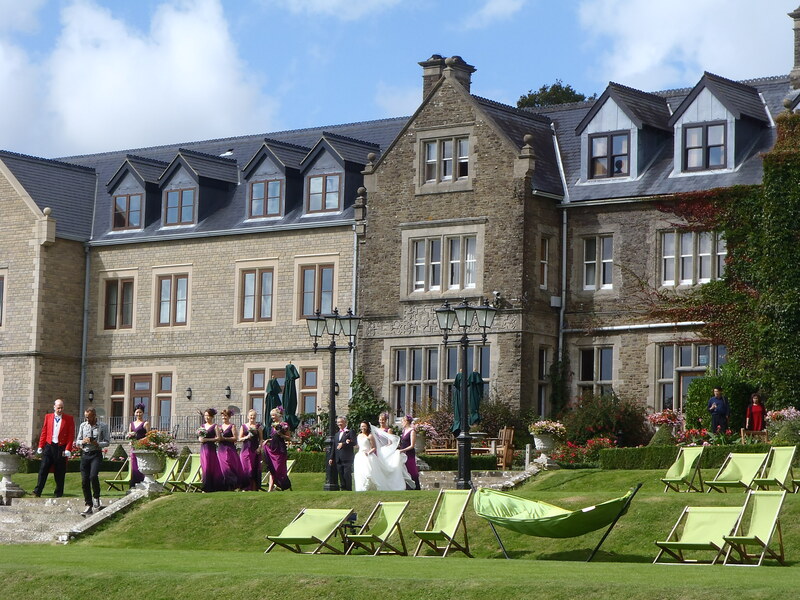 As the taxi wound its way up the wide sweeping driveway and South Lodge came into view, it was clear that this was going to be a wedding of grandeur. South Lodge in Horsham is an impressive country house, which development started on in 1883 with final substantial additions made in 1911. It was used as a hospital during the Second World War and opened as a hotel in 1985. The wedding was of an old friend of mine to his fiancé who is originally from Hong Kong. This was part one of their celebrations with the ‘away fixture’ as they are affectionately calling it, a Chinese banquet in Hong Kong, at the end of October which we are also attending so look out for a future blog post! Inevitably as happens at these sorts of events where small talk is a plenty between strangers, the question came up of how I knew my friend. This is always an awkward one as we actually met on Facebook, when we were both single, but when we met up it became clear there was nothing remotely in the way of a spark between us, but we got on and so became firm friends. 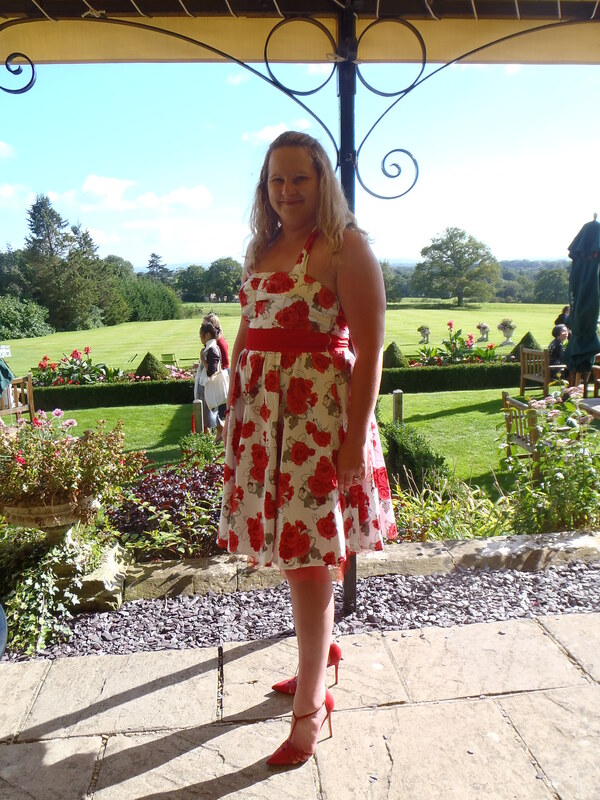 For this special day I chose to wear a 1950’s inspired halterneck circle dress, in a red rose print design from Rocket in Rochester. My shoes were my red Sarah Jessica Parker designed heels which I bought some time back but had yet to wear. 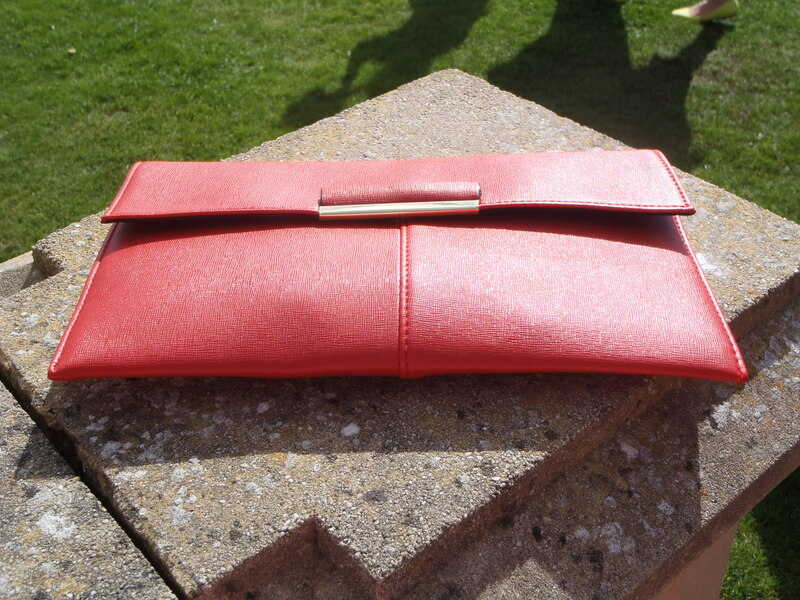 The outfit was completed with a red envelope clutch bag from Dorothy Perkins. The ceremony was outside and it was thankfully a beautiful bright sunny September day, albeit a bit on the breezy side. 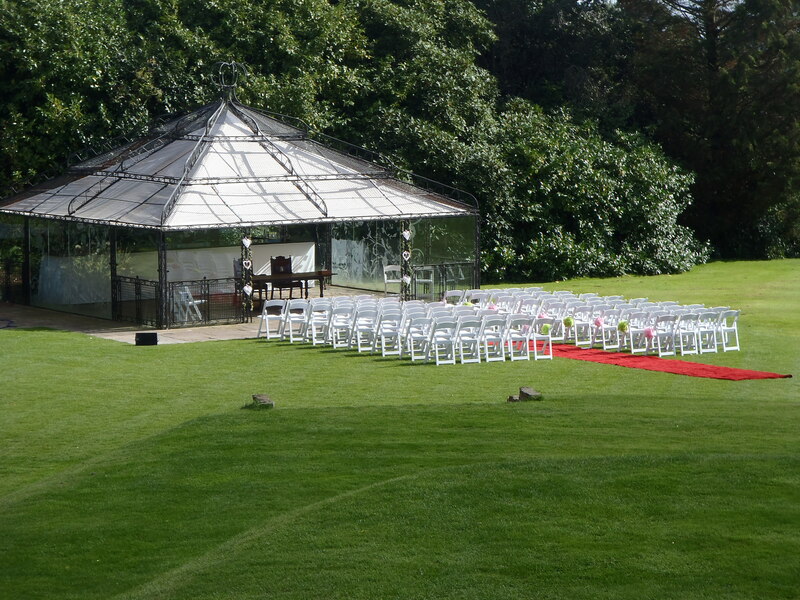 We sat on rows of white chairs that were decorated with colourful pompoms, with a red carpet inbetween, leading to the stunning gazebo at the front. My friend looked the happiest I have ever seen him as he waited for his bride to appear. His suit was accented by a deep purple cravat and cummerbund, to correspond with the colour theme of the day. We all turned to see the stunning bride in her gorgeous white dress, walk down the steps from the lodge and along to the gazebo. 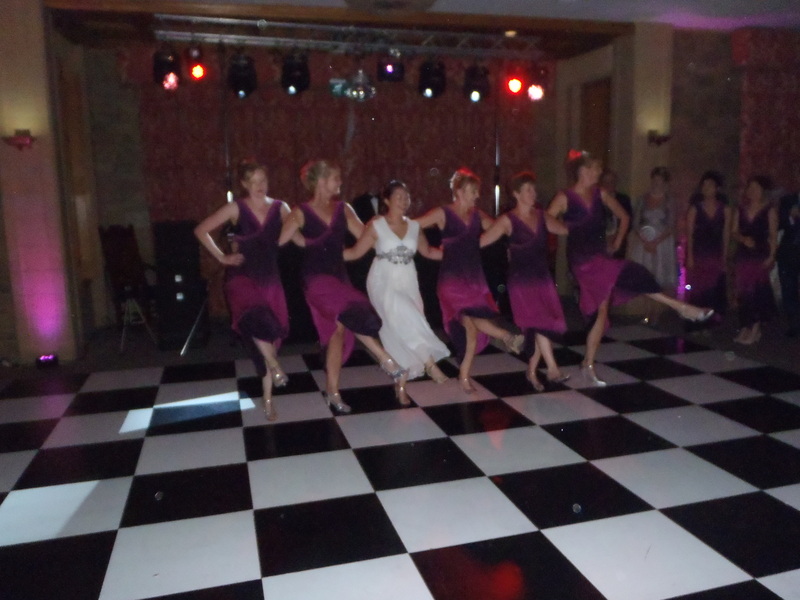 She had 7 bridesmaids which were a vision in their purple dresses. The ceremony itself seemed quite short but I guess that is because I am used to church weddings. 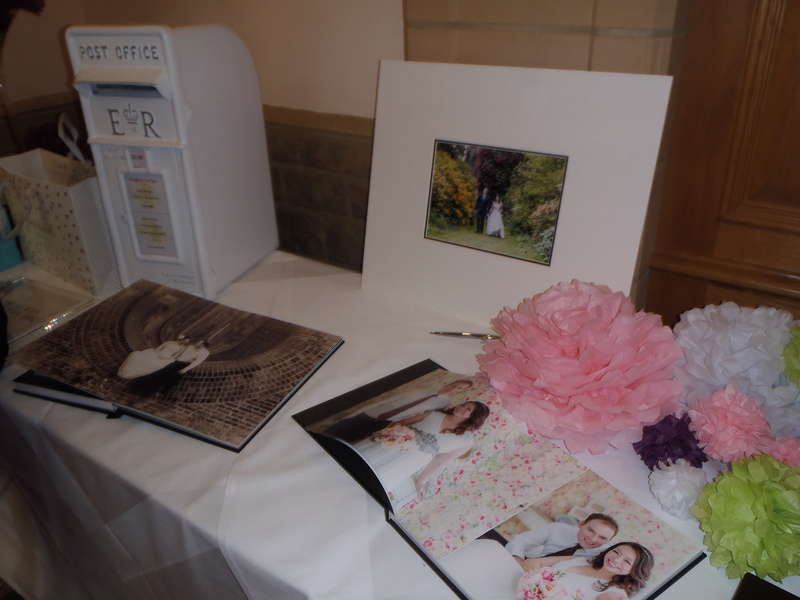 Whilst they signed the register, my friend’s sister played ‘A Thousand Years’ by Christina Perri on the piano. 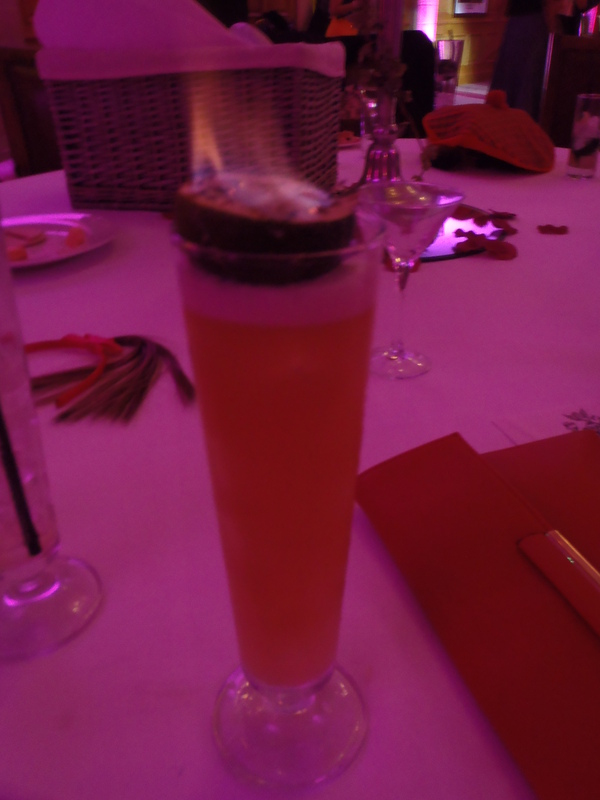 There was then a drinks reception where the champagne flowed freely and there were a number of tasty canapes. Photos were taken whilst we all relaxed and got to know each other. There was an interesting take on the group photo-the photographer laid a rope out in a heart shape and got us to stand around the edge. He then removed it and took the picture – I always had wondered how they do these funky group shots and now I know! Soon we were welcomed by the toastmaster inside from the gardens, to find our name on the ornate table plan that was a world map, with the tables named after places the couple had visited. 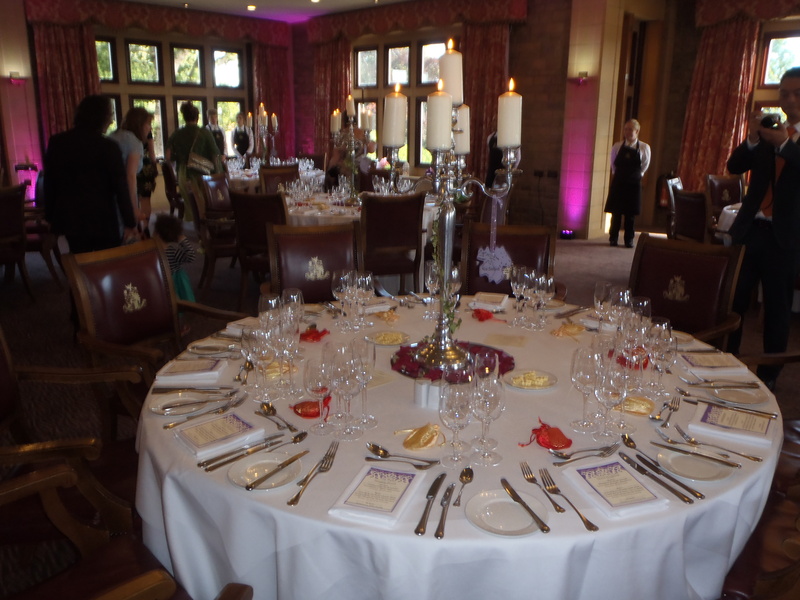 It was also decorated in purple and with butterflies – themes that ran through the whole day. 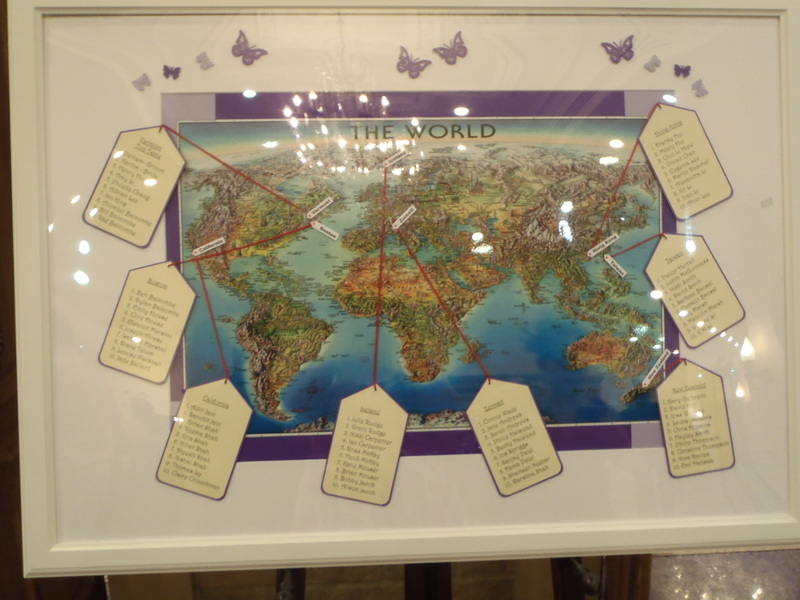 The travel theme was also incorporated in the guest book which had a watermark of world map on each page. We then entered a large medieval style room. Round tables were adorned with silver candelabra that had real candles and ivy wrapped around them. There was some debate on our table as to whether or not the candles were real but this soon became obvious when the wax started to drip down. 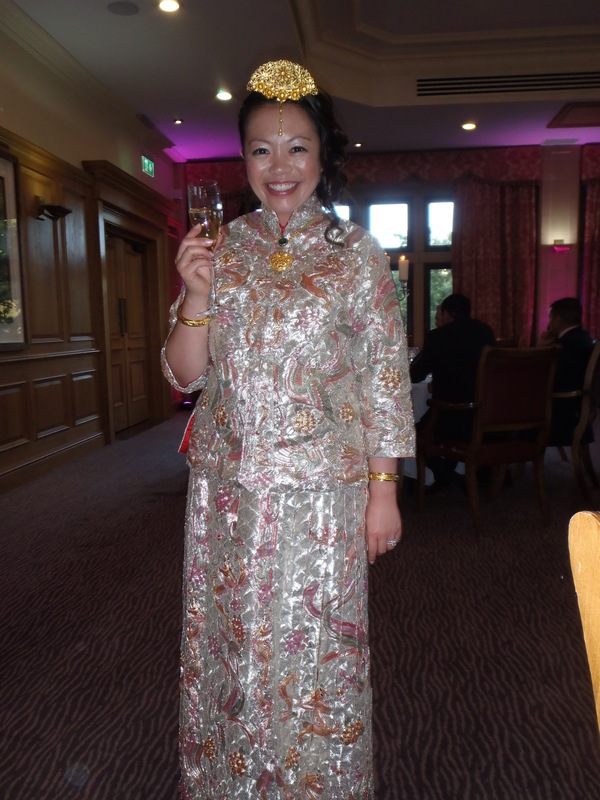 The bride changed into a beautiful traditional gown for the meal, which her mother had worn for her wedding. 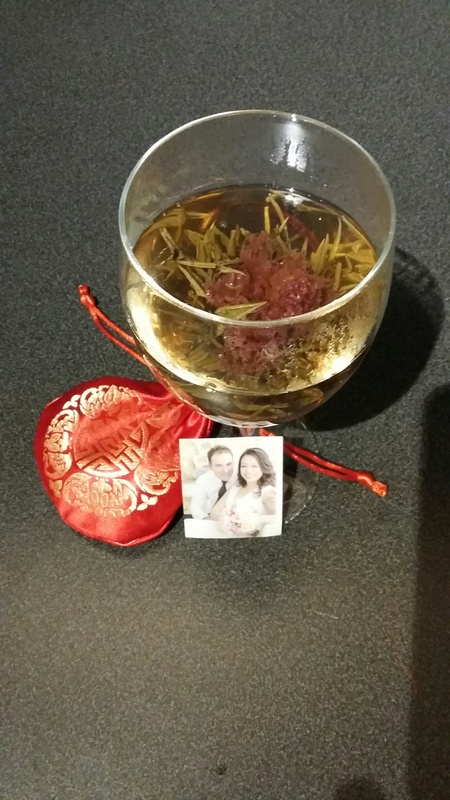 The favours were in red and gold silk bags and were Jasmin flowering tea. Yunnan in China is where flowering teas come from but it is unclear as to whether these are an ancient idea or a modern phenomenon. They are essentially dried tea leaves with a dried flower in the middle. When boiling water is poured on the bulb, the leaves open up, revealing the flower. 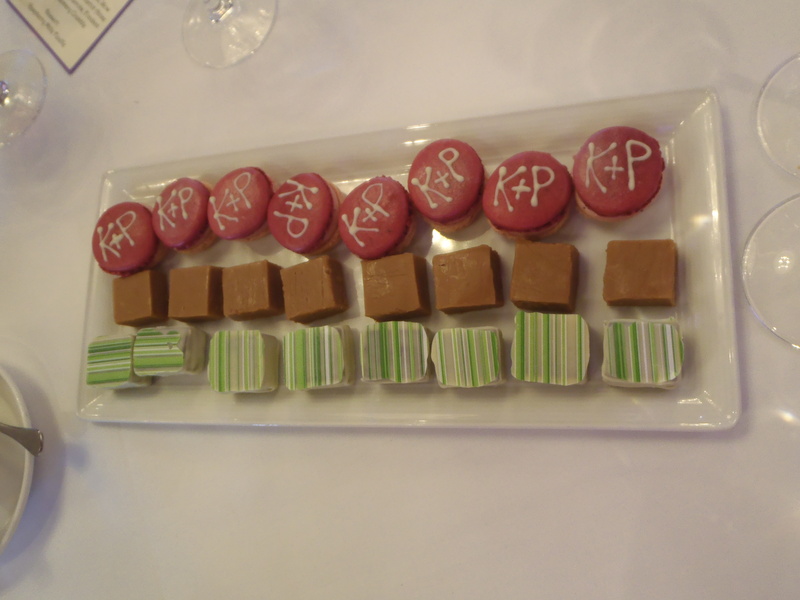 Following the meal, sweets were brought round with the tea and coffee including macaroons with the couples initials piped on the top. 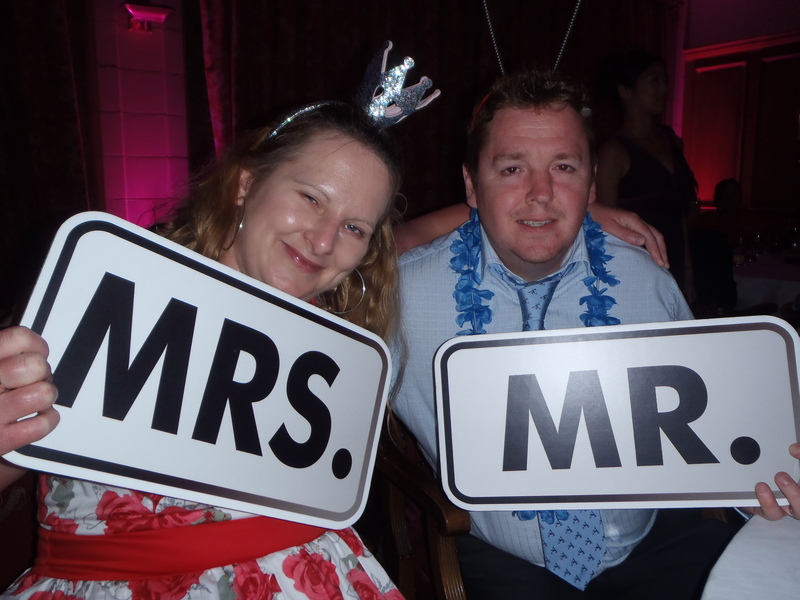 We then retired to the bar and games room whilst they cleared the tables to make way for the dance floor. 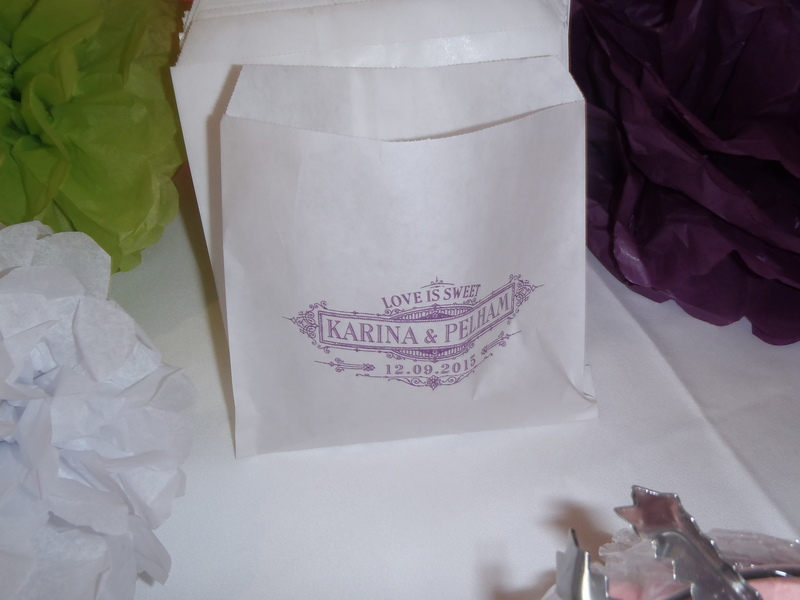 There was a sweet table, with paper bags that were personalised with the couple’s names in purple text. We browsed the stunning pre wedding photo books – a custom of Asian weddings since the late 1990’s. 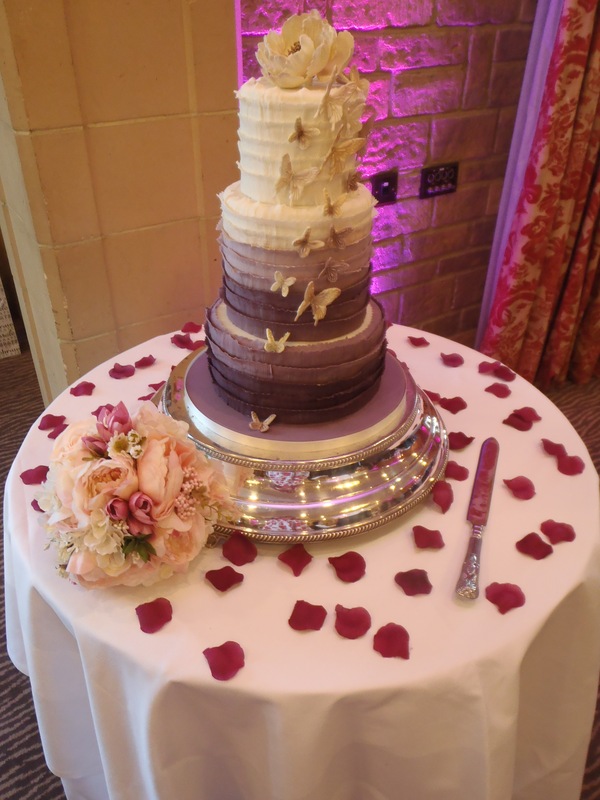 Once the room had been transformed, with a black and white checkered dance floor we entered for the cake cutting – the cake was also decorated in purple and butterflies. Following that was their first dance, which was to ‘Fly me to the Moon’. The bride and her bridesmaids who all met at dance class then treated us to a magnificent display of dance. 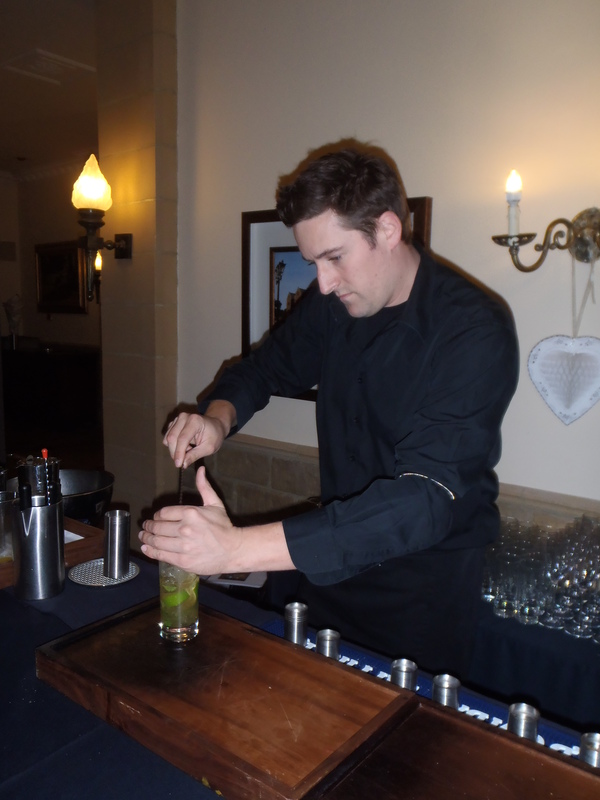 It was then time for what I had been waiting for – the mixologist! 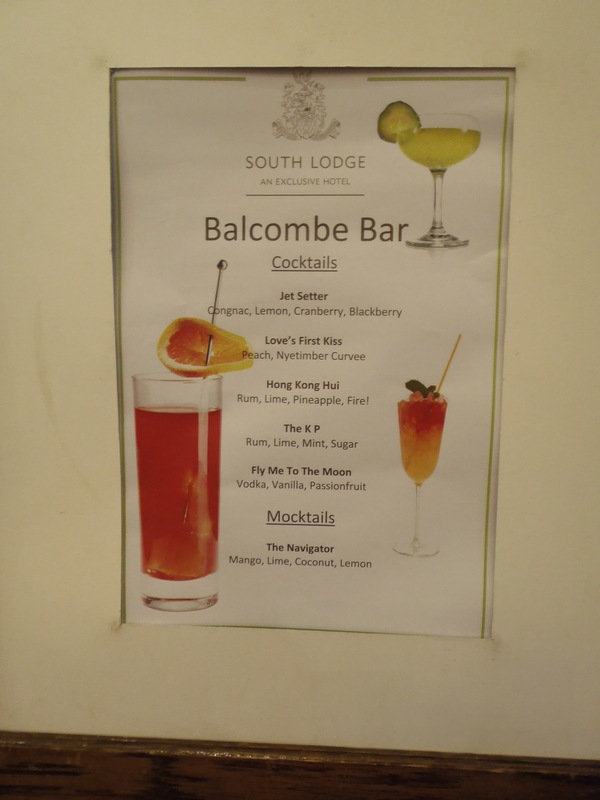 The names of the cocktails were personalised to the couple. The barman would make any cocktail you wanted. Particularly spectacular was the one he set light to. A few cocktails later and a box of props came out which made for some instagram worthy photos. 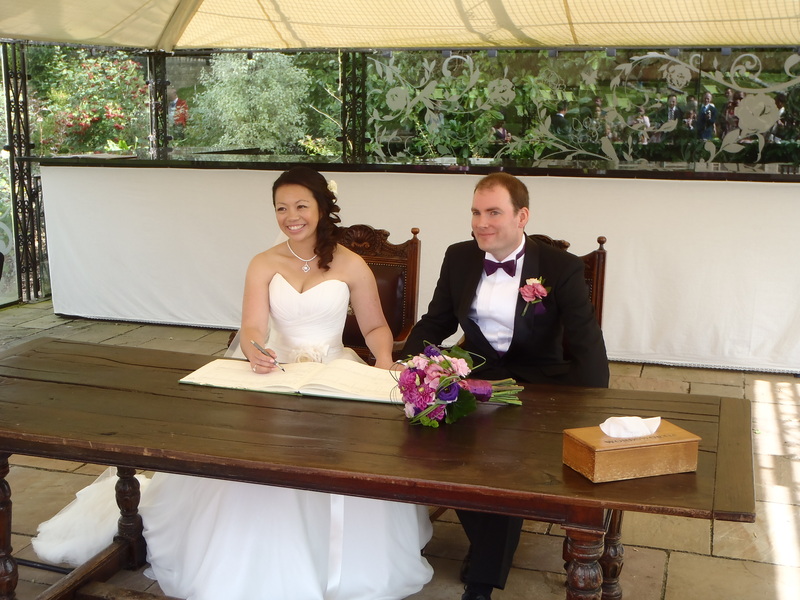 It was a day to remember; I wish the couple many happy years together and look forward to part two in Hong Kong. It is wonderful to see a couple that compliment each other so well.